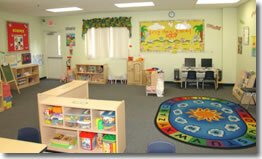 Leading Innovation in the Child Care Industry. A Proven System, Committed to Excellence. 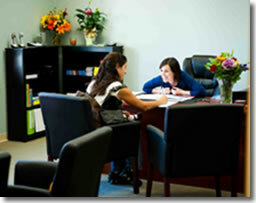 After 14 years in the child care business with a co-partnership model, Rainbow Academy began franchising in 2011. Unique in the child care industry, Rainbow Academy recognizes the needs of working parents AND their children by expanding the definition of "child care" to a "Circle of Care" that encompasses the entire family. According to the National Association of Child Care Resource & Referral Agencies (NACCRRA,) between 2006 and 2010, the percentage of parents reporting child care as a necessity rose from 49% to 57% and 65% of mothers with children under age six are in the workplace. As these statistics demonstrate, the stresses on families have never been greater. Parents who have previously stayed at home have found it necessary to return to the workplace and many are putting in longer hours. Others have been forced to relocate to find work, or increase their commuting time. With quality education, family-focused customer service and a genuine sense of care as equally weighted cornerstones of our business model, Rainbow Academy has set itself apart from the competition and created its own niche — the solution for working parents. Founded in 1997 as a family-owned business, we know just how tremendous a step it is to invest in and open your own center. Just as every point of a circle is equidistant from its center, each person whose life is touched by Rainbow Academy is equally important… children, parents, staff, vendors and our franchisees and all of these people make up what we call our "Circle of Care." As a Rainbow Academy franchise owner, you will become part of a family that truly cares, supports and encourages each other helping to ensure your success. Beyond industry standards, you will receive over 94 hours of hands-on and on-site training during the construction process through your opening date. Whether you have a classical training in education or business – or both – our training will ensure that you fully understand our culture, business systems and educational programs. Before your center opens, you will participate in comprehensive training held in a classroom environment as well as hands-on training in one of our existing center location. After your center opens, you will be assigned a Business Coach to mentor you on an ongoing basis in operations, marketing and education. Whether you need tips on managing your payroll or guidance on licensing, they will be your personal point person assigned to ensure that you will never feel alone. Join the Rainbow Academy Circle of Care and receive unsurpassed commitment and dedication to your success! Click on Request Information for FREE info on how to open a Rainbow Academy franchise today! Please Note: This Rainbow Academy franchise opportunity and other franchise business opportunities, businesses and franchises for sale on this web site are not to be considered as an "offering", "franchise offering", suggestion or recommendation by Franchise Leader™. This advertisement depends entirely on the truthfulness of the information provided by our advertisers which includes, but is not limited to, franchisers, franchise brokers, franchise consultants and business brokers. Franchise Leader™ recommends that you consult a lawyer, financial consultant, accountant or professional advisor before buying a franchise or business opportunity or any type of business. By using this form or any part of our website, you have agreed to all terms and conditions of Franchise Leader™. Please review our Terms & Conditions for more information.